100 Women is a portrait project aiming to capture the beauty and strength of women in my community. 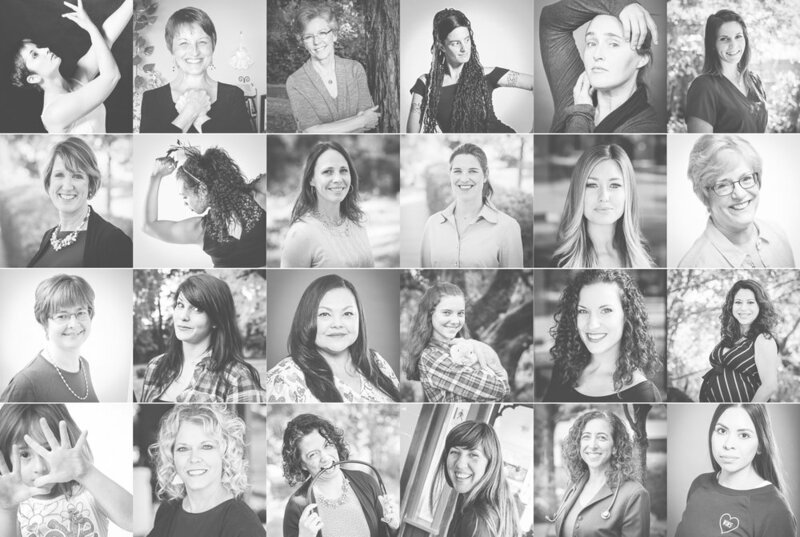 Starting March 1, 2019, 100 women will take part in a new kind of portrait session, including a 20 minute recorded discussion about the successes and struggles they are experiencing and a 30-40 minute photo shoot. The result will be professional headshots and lifestyle portraits for all participating women, and the project will culminate in a visual and audio exhibit of the images and stories of all 100. Some women, who are able, will be “Supporters” and will pay the full portrait price of $250. Others will be “Receivers” and will be given portrait sessions as a gift from the supporters. Both the Supporter and Receiver get the same type of portrait session. Receivers may include women who don’t have as many resources, women who are young and just getting started, women who are older and on a fixed income, or women who are icons in our community, among others. Supporters may request a receiver or one can be chosen for them. A sliding scale is available upon request (contact Megan directly to discuss those details). This project is based on the idea of women supporting women, and coming together to be part of a larger group. We are stronger together. Innovative Arts was recently founded to manage and grow the commercial art consulting part of my business. Working with a team of artists, photographers, consultants, designers, dreamers, and doers, we design, create, build, and make artwork for organizations, businesses, communities, non-profits, and multi-national companies. Visit our new website to learn more.